Collectibles - here at Angel Elegance Vintage, collectibles is a nice way of saying all of those things that do not fit nicely in another area on the site. As an antique dealer, I see (and love) all things old, antique, fun, cool or just plain strikes my fancy. I just cannot resist, so here they are.Things like old and collectible glassware, music boxes, cups (love my coffee! ), trinkets and more.I also love researching my genealogy and enjoy picking up items to help people with their family trees. Here is where I will be putting yearbooks, photos, and bibles.Everything here, in the Collectibles Department, is older, vintage, for sale and available for you to buy. Hope you have as much fun shopping here as I have had in bringing these items to you!I am always adding new stock, so check back often. 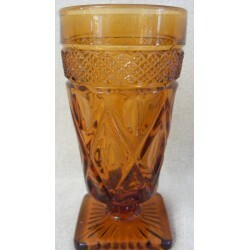 Imperial Glass Company's Cape Cod pattern - Water goblet in a rich, amber brown color. This is one of Imperal Glass' popular patterns. 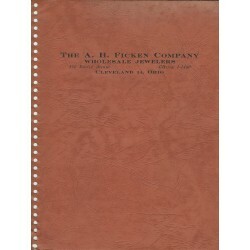 It started production in the depression era and continued until 1984. This stemware is a footed goblet. It has the fancy, pineapple stem. The beautiful amber color really makes this piece of elegant glassware. 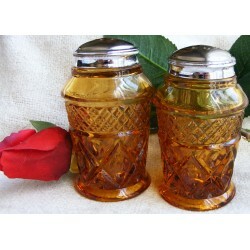 Salt and pepper shakers - Imperial Glass' Cape Cod pattern. Nice, amber brown colored glass. Elegant, depression era glassware pattern which was made until 1984. Still affordable, you can collect a large tableware setting in Cape Cod. Now is your chance to add these pieces to your collection - and a little bit of color too! Vintage, powder box style music box. Works and plays a tune when you lift the lid. Also, a trinket or jewelry box. It will hold whatever you want to put in it. 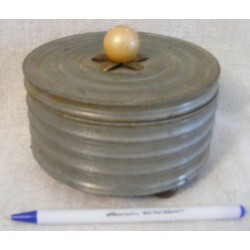 Add a little vintage style to your vanity with this music box. Aged, silver colored, textured metal. Cute wooden flower knob on the lid. 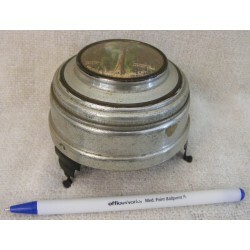 A nice item to add to your music box collection! Made by Imperial Glass Co. in its' Cape Cod pattern. 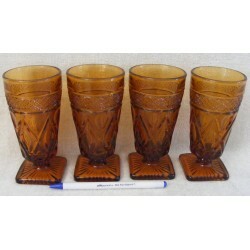 Originally made to be footed juice glasses, but would also make very nice wine glasses or stemware. Beautiful rich, amber brown color. Each of these 4 glasses has the fancy, pineapple stem. Elegant depression era glassware to help set your table! 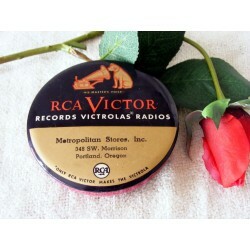 Vintage record duster cleaner advertising RCA Victor and Metropolitan Stores in Portland, Oregon. Celluloid top with Nipper on it. Red fabric bottom used to clean vinyl record albums. A nice advertising collectible which is functional. It helps keep record albums clean and free of dust and dirt. This souvenir trinket box is for Sequoia National Park in California. Made in the style of vintage, powder box style music boxes. There is a medallion showing General Sherman, the world's largest tree on the lid. Lightweight, metal construction with 3 metal feet on the bottom. 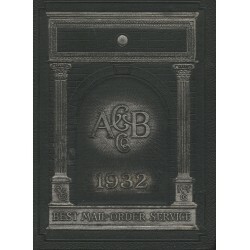 This is a nice souvenir to put your trinkets, jewelry or whatever in. Vintage powder style musical box has a cupid and hearts engraved on the lid. Gold and silver colored metal outside and white inside. Lift the lid to use your face powder and a tune plays. You can use it for jewelry, trinkets or whatever your heart desires. 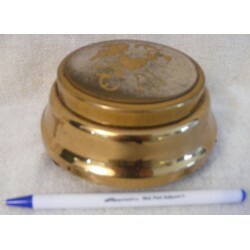 This powder box is a great item for your vanity! This powder box style music box plays Silent Night. Quite old and vintage, it was originally made to hold face powder. You can have fun deciding what pretty things you want it to hold. A great vanity item. 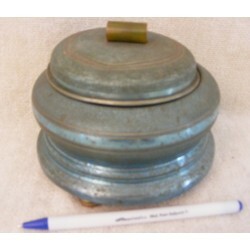 Blue textured metal with a green catalin knob on the lid. Have some fun this Christmas with this vintage music box!